One of the principal descriptions you read in the literature surrounding Bodiam is the symmetrical impression the building gives. The more time you spend working in the building the more you realise this is not the case. Externally the façade gives this impression; however, if you look closely the windows do not line up to and neither to the chimneys and mini turrets on the towers. Moving to the interior the first thing to note is that the layout of the building is also not symmetrical. 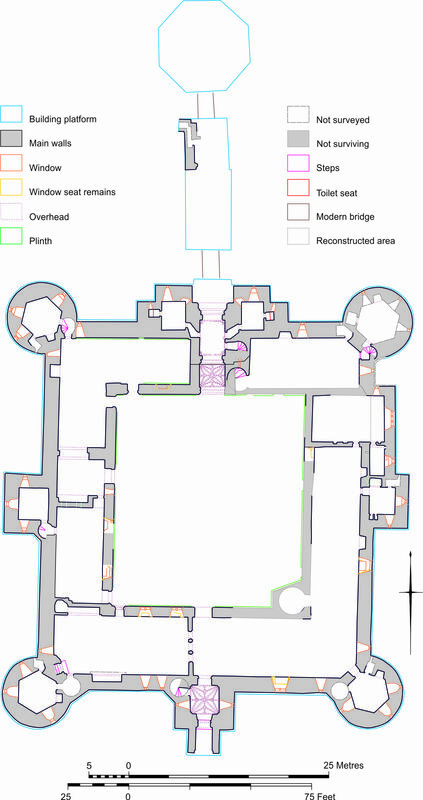 As you can see from the following image the internal layout of the gatehouse is not the same on the ground floor and this continues on the floors above. Even more apparent is that the building itself is not symetirical: the main difference being the chapel being setup into the moat. The question is what does this mean? 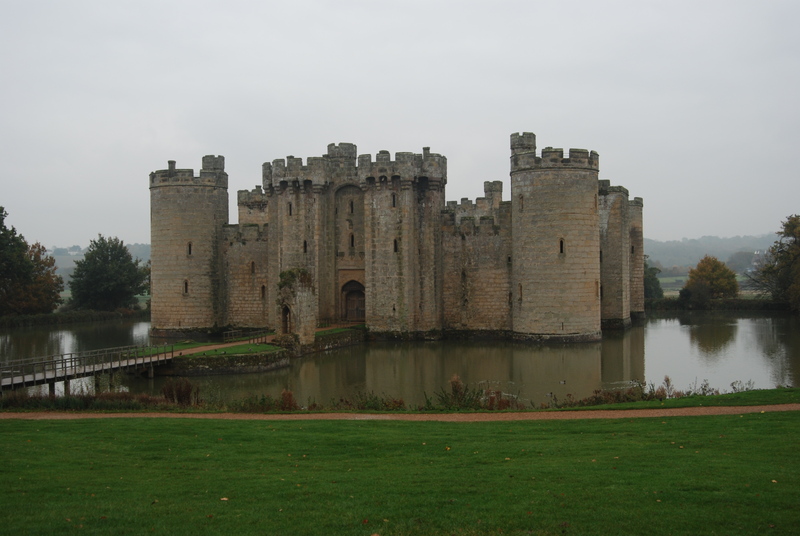 As I continue the 10 things you didn’t notice about Bodiam I will put forward a theory that sheds doubt on the construction of Bodiam being “wholly planned” as suggested by Pevsner. Instead I suggest that the fabric of the building hints at changes of mind throughout the construction and a series of errors throughout the construction that hint at a less skilled labour force. These ideas follow the final season of work at Bodiam by Penny Copeland and I, with Matthew Johnson: the results of which are in process of being written up.